Watch out for cross-Solent delays as dense fog affects Red Funnel services from East and West Cowes. 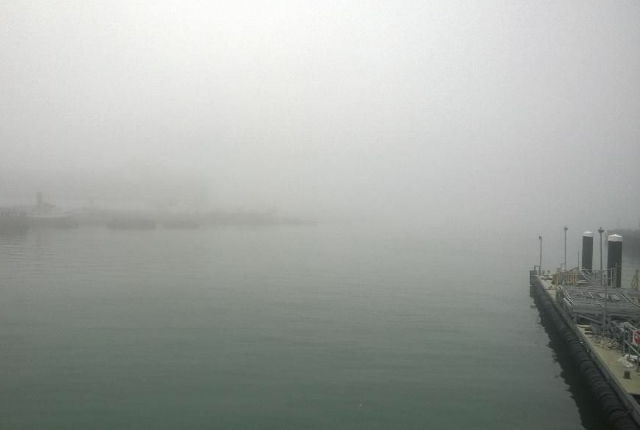 Dense fog is causing some service delays on ferry crossings between East and West Cowes and Southampton this morning. As a result of vehicle ferry cancellations during the night (also due to dense fog), traffic backlogs are creating some interruptions, with delays most prolonged from Southampton. At this time, we can confirm that Red Osprey most recently departed from Southampton at 07:15 and Red Eagle departed East Cowes at 07:15. The next scheduled 09:00 departures from both Southampton and East Cowes are anticipated to depart as planned, however we will continue to monitor the situation. The Hi-Speed Red Jet foot passenger service is currently running as a “shuttle service” in both directions, meaning that due to reduced visibility passengers should expect longer crossings as well as varied departure times subject to when the vessels arrive. As the fog has lifted and visibility has improved, and thanks to the commitment of our staff and crew, and we have cleared the private vehicle traffic backlogs in Southampton and East Cowes and have now returned to our scheduled vehicle ferry timetable. Customers are advised to check in for their booked sailings and should anticipate departing at the scheduled time. Some delays with large freight vehicles out of Southampton are still expected throughout the morning and are projected to be resolved by 12:00. The next vehicle ferry sailings out of Southampton and East Cowes are scheduled to depart at 10:30. Our Red Jet service has also resumed back to the regular timetable, with the next scheduled sailings at 10:45 from Southampton and 10:15 from West Cowes. Passengers are advised to check the Website for service status updates as well as follow Red Funnel’s official, live travel news feed on Twitter, @RF_Travel_News for the most up to date information. We would also like to thank our passengers in advance for their patience as our staff and crew work hard to get everyone on board and to their destination as quickly and safely as possible. 3 Comments on "Red Funnel experiencing delays due to thick fog in Solent (updated)"
To quote Ref Funnels own blurb, “these are the largest ferries ever to serve the Isle of Wight”. Perhaps too large. Bridge to bow too far, bridge too high, radomes too high. All problematic in severely reduced visibility in a restricted waterway.